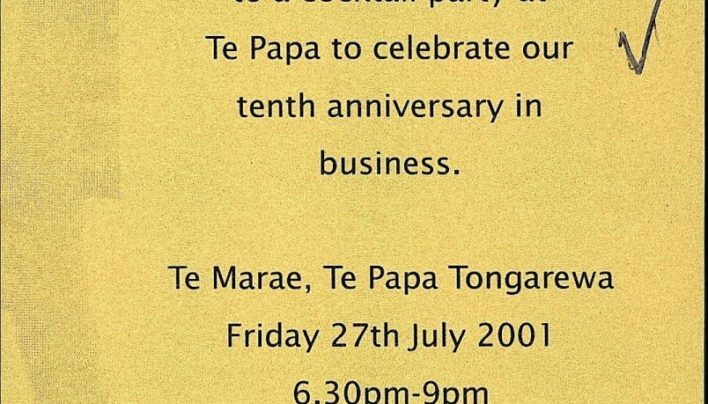 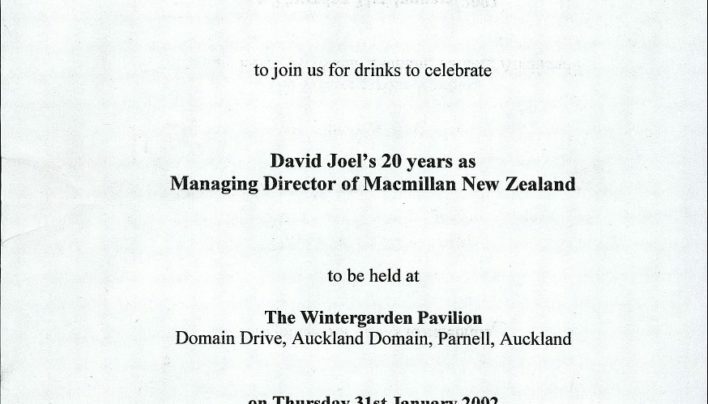 An invitation to attend celebrations for Huia Publishing’s tenth anniversary. 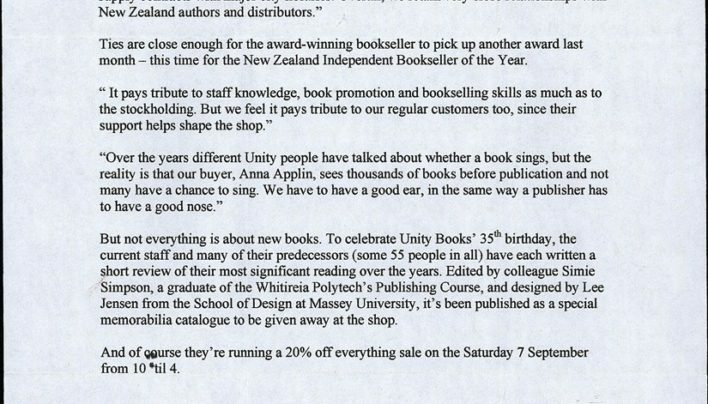 This press release was intended to draw attention to the impending shop birthday, but also to its everyday business. 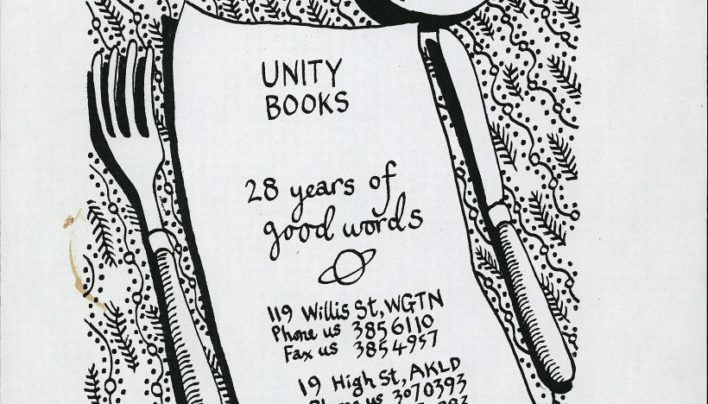 An advertisement we ran in the Capital Times for Unity Wellington’s 34th birthday and Unity Auckland’s 21st birthday. 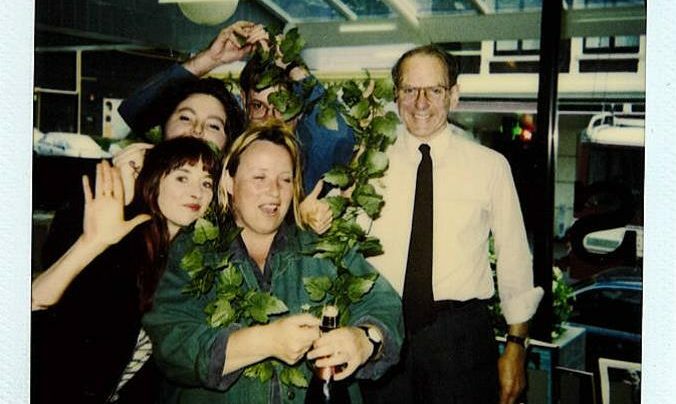 Marion Castree, Bronwyn Gibb, Alan Collins and Alan Preston cover Tilly Lloyd in ivy to celebrate her 6 year Unity anniversary. 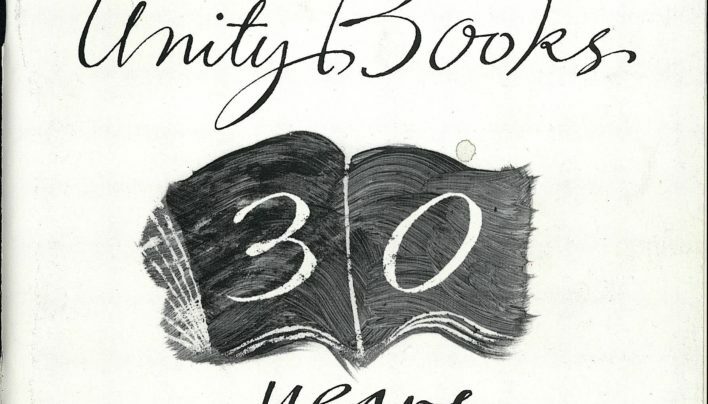 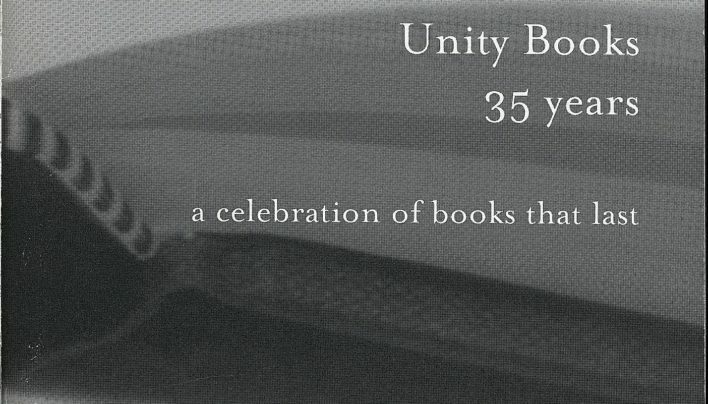 As part of Unity’s 30h birthday celebrations, staff put together this booklet outlining some of the history of Unity Books. 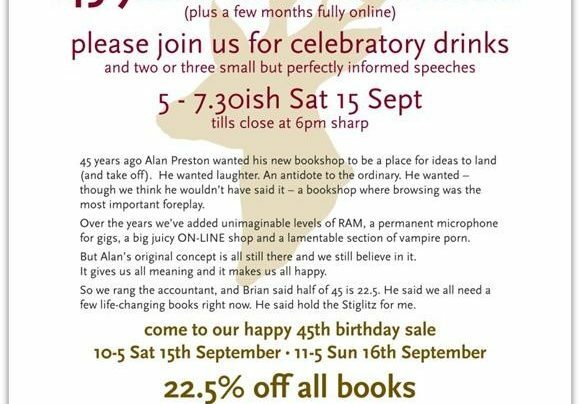 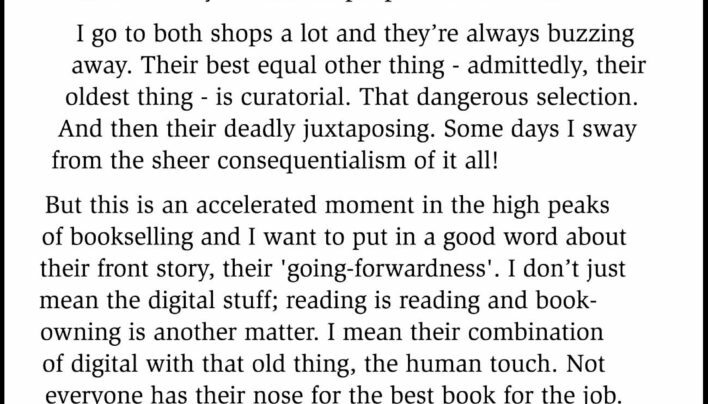 Click on the image for the full catalogue. 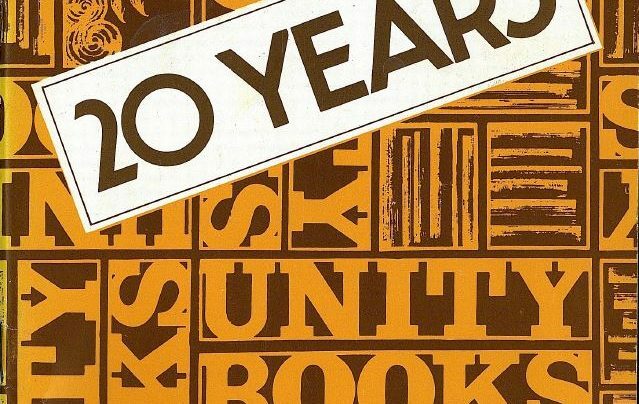 In 1987 the shop turned 20 and produced this booklet to celebrate, incorporating “Unity” reminiscences from staff, customers, publishers and friends of the shop.